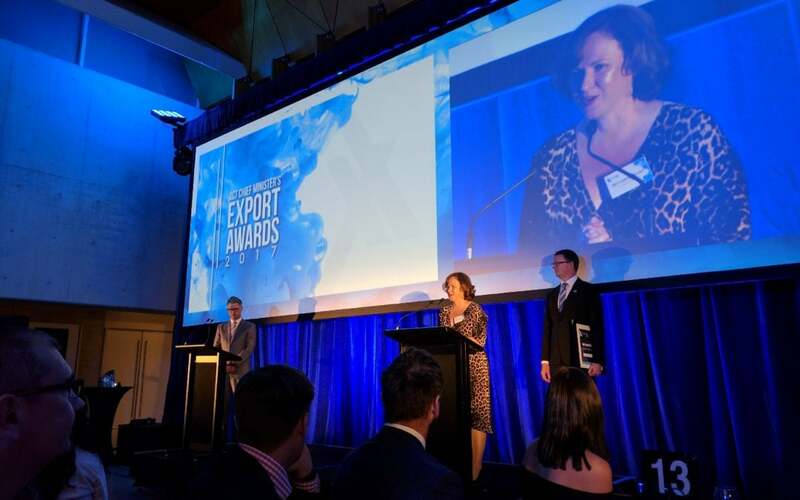 Cogito Group was named winner of the ACT Export Awards in the Business Services category. The ACT Chief Minister’s Export Awards were held at The National Portrait Gallery last night. The awards recognise the innovation, hard work and success of businesses, large and small, in reaching global markets. Cogito Group were finalists in 4 categories, Small Business, Exporting Government Solutions, Digital Technologies and Business Services. Cogito Group came out victorious in the national Business Services category over TelSoft, Collaborate Consulting and SponServe. The ACT Chief Minister’s Export Awards pay tribute to outstanding businesses in both ACT and national categories. As Cogito Group won in a national category, they will go on to compete at the Australian Export Awards being held in Canberra in December. Benjamin Bi, Digital Identity and Security Consultant at Cogito Group, proudly displaying the award.